INDUSTRY.co.id - Banda Aceh - Delivery of Mitsubishi Xpander units has begun gradually, including 80 units ordered by buyers in Aceh.Director of Sales & Marketing Division of Mitsubishi Motors Krama Yudha Sales Indonesia (MMKSI) Irwan Kuncoro said that each region takes time vary. The distribution process may take longer in one area that is located further away. "For Xpander, this week we start shipping to consumers, the previous week the distribution start to the dealership, but the area by area is different," said Irwan after the inauguration of passenger car dealer Arista Sukses Mandiri - Aceh, in Aceh Besar, Wednesday (27/92017 ). 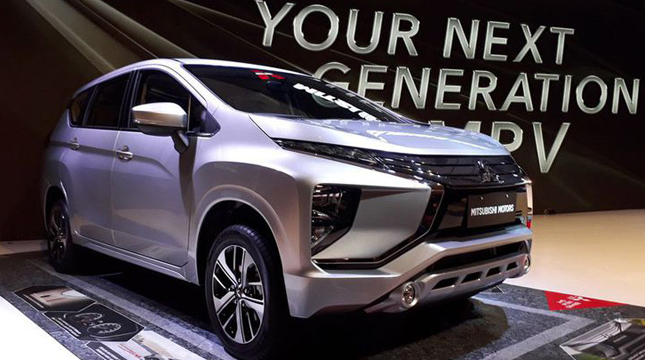 Head of Sales & Marketing Region III MMKSI Ilham Irandra added, the latest Low MPV unit made by Mitsubishi it will be distributed gradually, depending on the type to the color ordered by the buyer. Especially in Aceh, buyers who order Xpander type Exceed, either manual or automatic, can receive orders in a shorter time. Budiman Director of PT Arista Sukses Mandiri, who is a partner of MMKSI for dealer Arista Sukses Mandiri - Aceh, explained that it is because the supply of composition for two types more. Since its launch in the automotive exhibition event GAIKINDO Indonesia International Auto Show (GIIAS) 2017 on August 10 last, orders Mitsubishi Xpander recorded has penetrated the number 15,000 units.